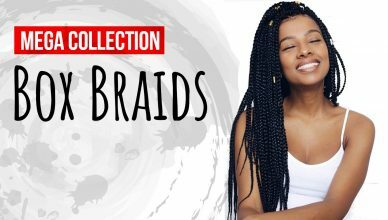 Box braids are trendy hairstyles right now. Sometimes we want blonde box braids on own black hair. 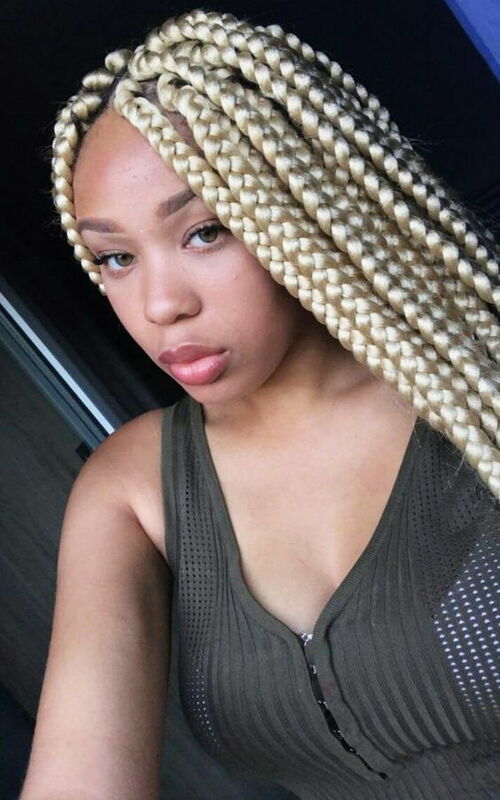 Here a short list of 8 box braids blonde on black hair that all the go with new age African American. Now, this is a rare combination of blonde mixing up with box braids. It gives you sometimes ferocious look, sometimes innocent. It’s totally up to you whether it suits you or not. 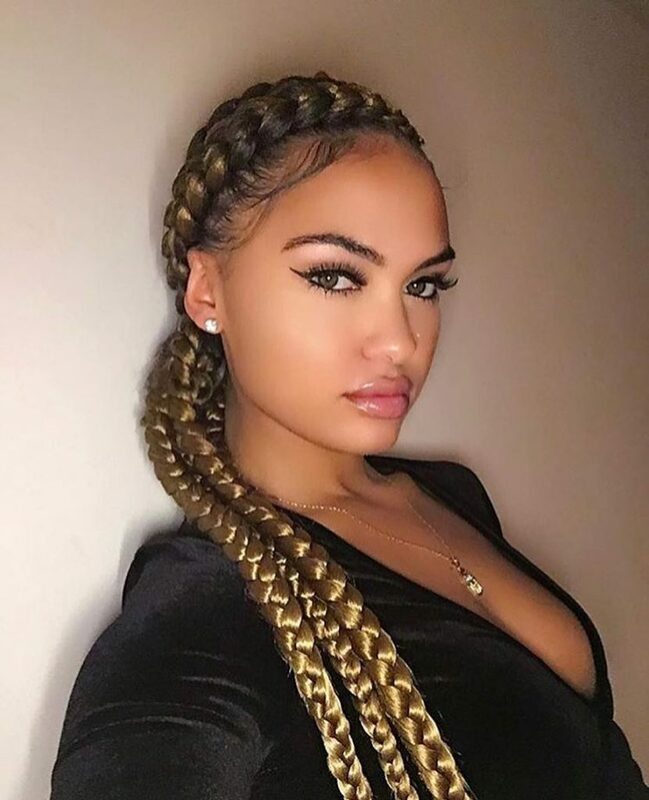 You can see a full of blonde box braid hairstyle in this picture, where the girl also ponytail her hair for a better blonde look. Somethings you have to be natural and that is your black hair. Now the blonde hair, you can make it with your natural hair or you can make it also with the artificial ones. 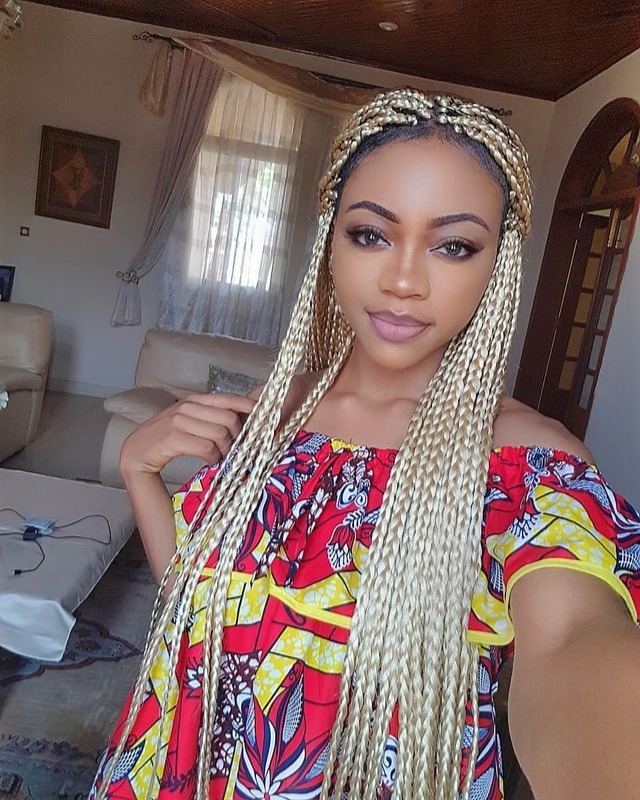 Here in this picture, this girl is used artificial hair for this blonde braids bun hairstyle. The blonde hair is full of hard and thickness you can see that. And the bun in the middle is using for the uprooting of the blonde hair. The hair is totally blonde. Its unique part is, it’s center-parted, divide the whole hair into two parts from the very center area that is clearly be seen. And the hair is totally blonde braids. 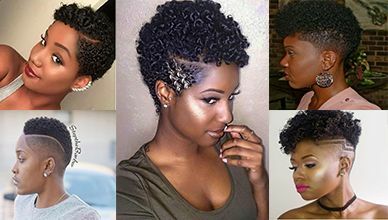 No twist, curly, mix up or beads for any difficulty. This hairstyle is appropriate for those who have long hair. For finding the reason you have to look at the picture. You can see a full of blonde box braids but on the black hair. 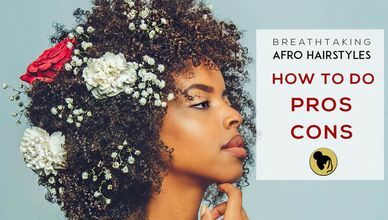 That is, the box braid hair part is pure natural. 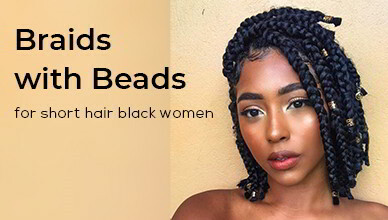 You can use some beads in box braid but depends on your face shape and costume. Otherwise, you can leave it free with no beads or band. 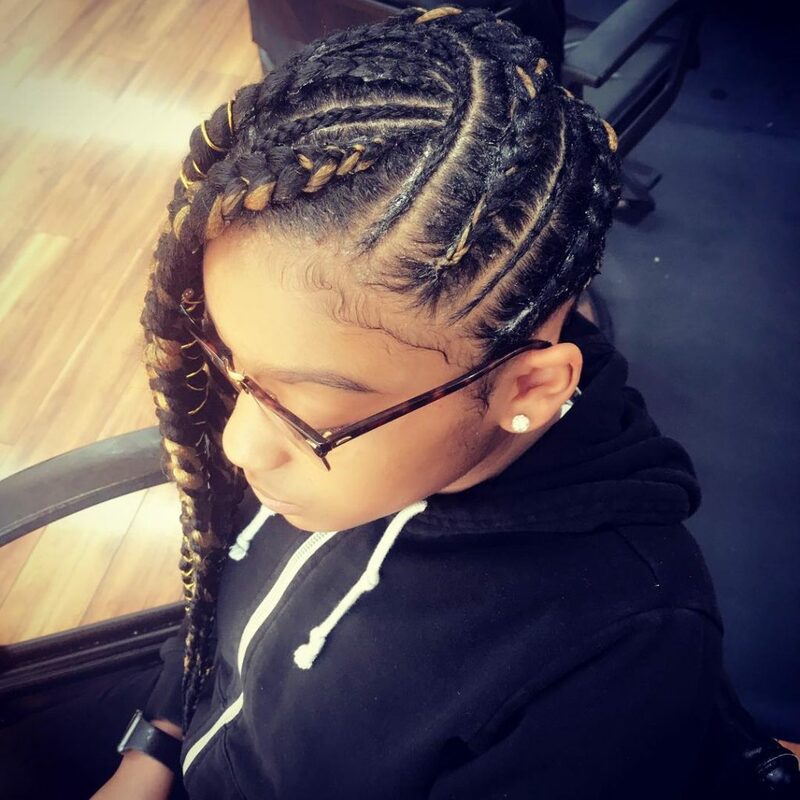 This is a feed-in braids hairstyle. 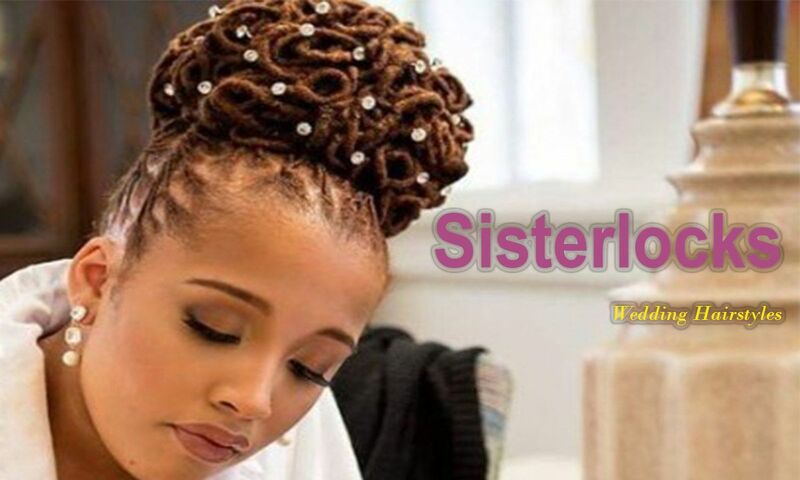 This is so much popular in the African region, that every kind or ages of people from Africa know or aware of this hairstyle. You can make it long or medium length hair. You can also feed in braids as much as suited to you. And the blonde part focus that feeds in braids very much. It’s also another type of blonde hairstyle. Here the hair is totally in jumbo style. Jumbo means large or any kind of big thing. You can see in this picture that why we telling this hairstyle as jumbo. Because in this picture braids hair are very much heavily braided and it’s a long one too. 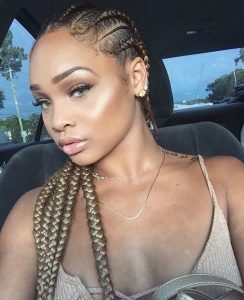 And this huge shape makes this hairstyle jumbo or we can say jumbo blonde braids. This one is very much hard to do to make it perfect. You need lots of extra artificial hair for making this hairstyle real. You can see in this picture, there is a lot of artificial hair mixing up the natural ones. 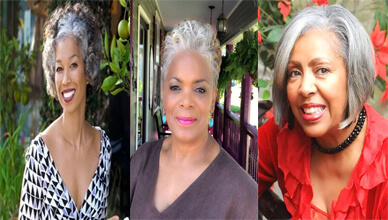 Now it is interesting that black color hair is natural and the blonde ones are artificial. And the blonde and black mixed hair braids or we can tell it mix braids. 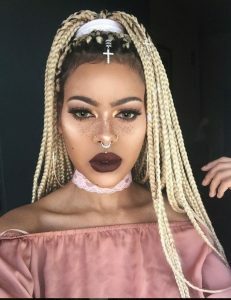 This blonde hairstyle is also on the black hair. But here the proportion of black hair is quite less compared to other ones. In some part, we can tell it is a center-parted but not that much clearer. Skinhead’s hair is black and on that black the total hair is blonde. 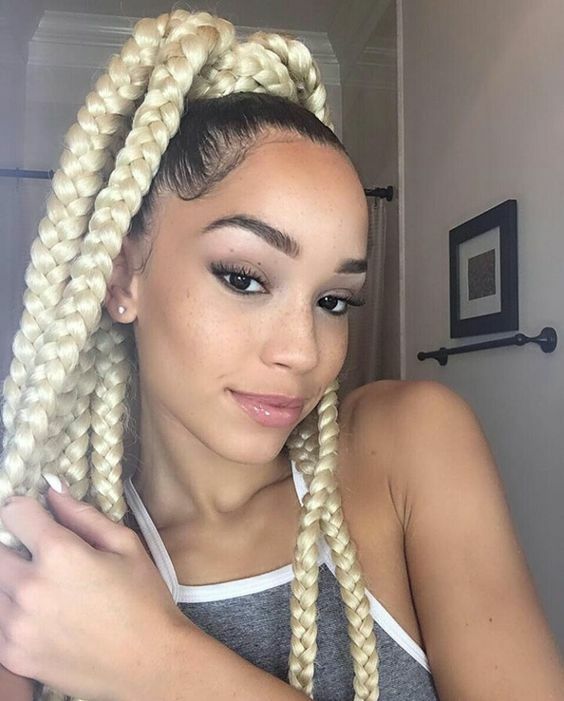 This blonde hair in box braid form and the length of hair is very long. 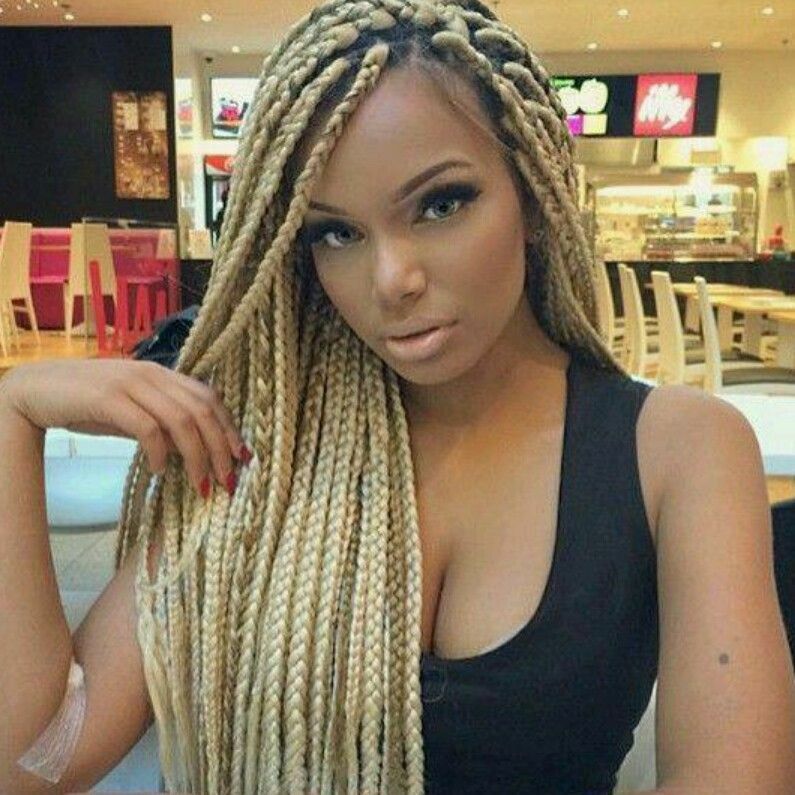 As you can see in this picture, the hair top to bottom is totally blonde box braids.